Due to FERPA guidelines*, students with incompletes cannot be added to a current or upcoming term because they are not actively enrolled in the current or upcoming term. However, you have two other options within the course that the student is enrolled in currently.  Send an email to eLearning@shoreline.edu and request a new section in the course exclusively for the student with an incomplete; please include the item number of the course and the student's SID. eLearning will edit the section settings start and end dates to allow this student to complete the course by the agreed upon end date. Then, you will need to edit the assignment options for the new section with the revised due dates. The section with the remainder of the class will not have access to the course past the term end date in Settings. You can go into Settings and edit the Course Details of the Canvas course, change the end date to allow all students to have access to the course beyond the end date of last quarter (typically set to the Friday after grades are submitted by instructors) and place a check in the "Users can only participate in the course between these dates" box. Learn more about FERPA at Shoreline.